Robertson has been appointed to build two new hotels in Glasgow on behalf of Vastint Hospitality – next to one of the world’s most popular entertainment destinations. The SSE Hydro, which recently celebrated its fifth birthday, is one of the busiest entertainment venues on the globe. And with huge demand for accommodation in the vicinity, construction work is underway on two brand new hotels with a combined 434 rooms. Located on vacant land on Stobcross Street, the first hotel will be operated under the Courtyard by Marriott brand and will have 221 rooms. The second hotel – to be operated as a Moxy Hotel – will feature a total of 213 rooms. Robertson will serve as main contractor on both projects continuing our strong relationship with Vastint Hospitality. With enabling works underway the Courtyard by Marriott hotel is due to complete in spring 2020, while the Moxy Hotel is set for completion in summer 2020. Ed Parry, Managing Director, Robertson Central West, said: “The SSE Hydro has built a stellar reputation since opening five years ago and demand for hotel rooms in the area has risen dramatically. These two new hotels, operating under separate brands, will give guests further choice and help ease the pressure on existing hotel stock in Glasgow. 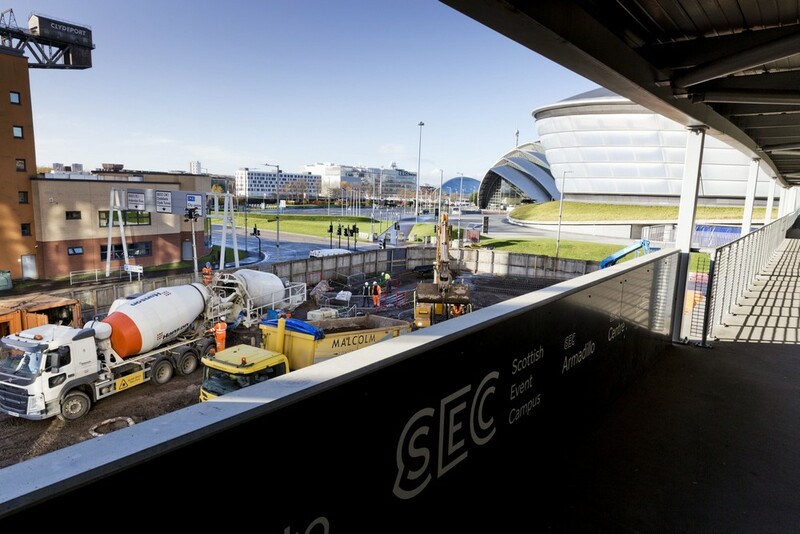 The new hotels under construction in Glasgow will also increase accommodation options for delegates attending conferences at the Scottish Event Campus, in turn helping to boost the local and national economy. 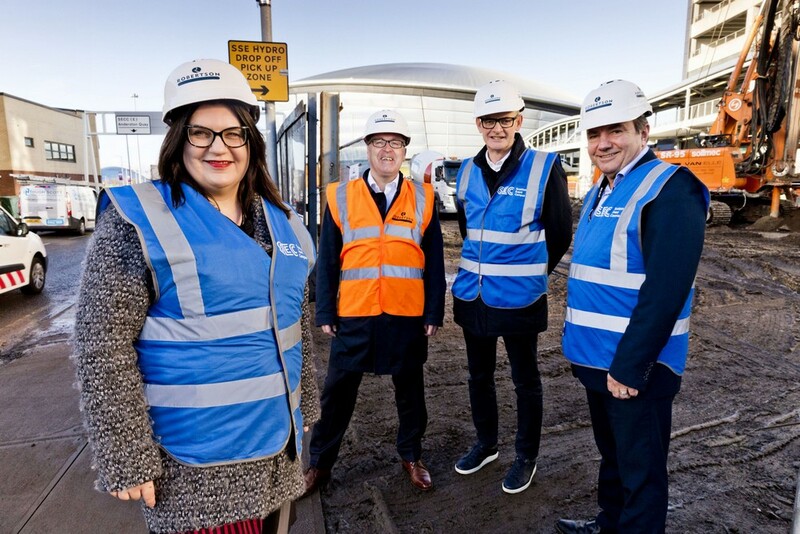 Councillor Susan Aitken, Leader of Glasgow City Council, said: “The Scottish Events Campus already generates £400m for the Glasgow economy and has an impact felt nationally. Our expansion plans for the campus aim to build on the growing importance of the conference sector, exhibitions and live entertainment to the Glasgow city region and, indeed, to Scotland. Robertson recently completed work on another Moxy Hotel in Glasgow’s Merchant City area, with the 181-bed hotel due to open to guests next month. It sits next to Havannah House, a new student accommodation building which Robertson also built for Vastint Hospitality. Featuring 458 beds, it welcomed its first students in September. Robertson previously delivered a Moxy Hotel for Vastint Hospitality at Aberdeen Airport, with the project completing in November 2016. Robertson has handed over a new hotel in the heart of Glasgow’s Merchant City, with the official opening set for this week. The 181-bed Moxy Hotel has been under construction since 2016, with Robertson serving as main contractor for developer Vastint Hospitality. Located on High Street, the hotel also features a breakfast bar and drinks bar in addition to meeting facilities and a gym for guests. The hotel was built using modular techniques, with sections of the hotel created off-site before being connected by construction experts on-site. 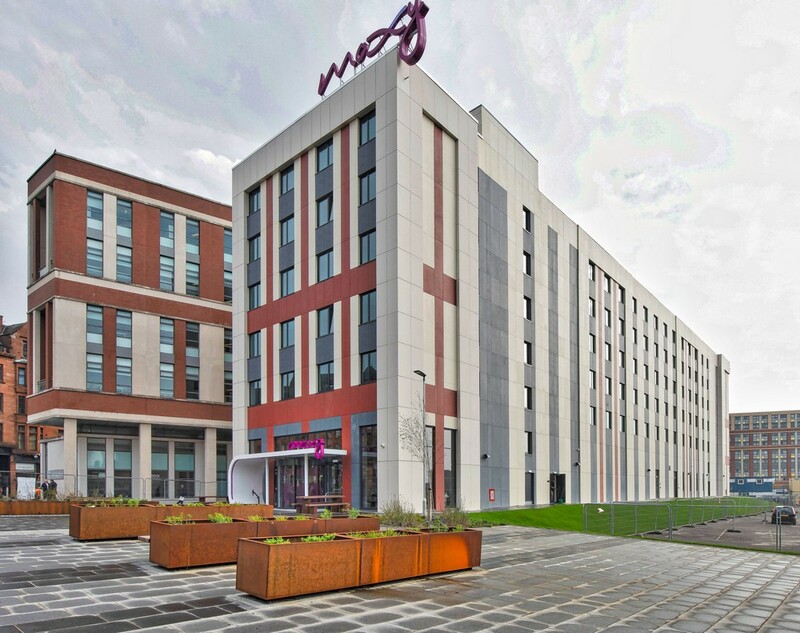 David Cairns, managing director, Robertson Central East, said: “The new Moxy Hotel will help address the clear demand in Glasgow for additional rooms. Working with Vastint, we have been able to create a modern hotel that will prove popular with guests, and the use of modularisation has allowed for quicker construction with no compromise on quality. The hotel is located next to new student accommodation which was also delivered by Robertson for Vastint. Featuring 458 student residences, the project completed work last month ahead of the new student term. Robertson previously delivered a Moxy Hotel for Vastint at Aberdeen Airport in November 2016.